Zain is an absolutely gorgeous French Bulldog cross boy of just 9 months old, itching for the freedom to thoroughly enjoy his puppyhood as the fun and charismatic DUDE that he is! If Zain had his way, he’d no doubt be found perched outside a Parisian coffee shop, donning a pair of shades and a black beret, smoking a fine cigar with an Espresso Martini in his paws. This boy has style… He has the capacity to win over ANYBODY’S heart in a matter of seconds and almost makes it his mission to do so. With his loving nature and infectious carefree attitude; Zain is everybody’s favourite and you can probably tell we are totally smitten with him! As Zain is still an impressionable puppy, he will benefit from a little basic training to equip him with the skills to burst into adulthood as the cracking fine thing that he is on track to become. He would appreciate daily walks, a secure garden for freedom and play times, and love and companionship forever more. Zain is fantastic with other dogs, people, children and cats. He is a happy little soul who adores attention and is a friend to everyone. Zain will fit into almost any type of family environment. He is a good traveler and is not noisy, he is safe to be left for a few hours but any adopter must remember that he is still young and whilst the majority of his “chewing” stage will be over, he needs some supervision. Zain is neutered, microchipped, fully vaccinated, up to date with flea and worm treatments and has a full passport for international jet setting. If you are interested in adopting Zain please get in touch with us through this website. The adoption fee is £275 and we require an application form and home check. Home checks are done through a national network of rescue volunteers and usually do not take more than a few days to arrange. Angel’s Kiss works with British rescue partners in Spain to help save some of the most neglected and abused dogs in Europe. 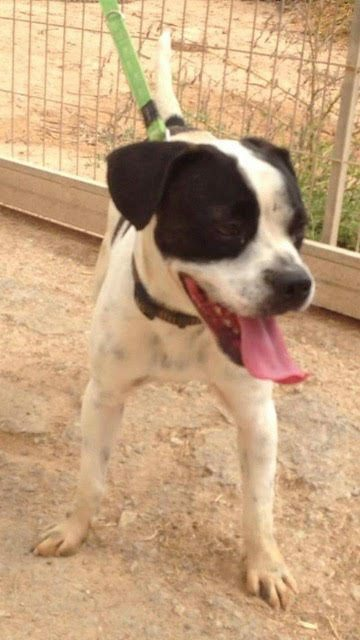 Some of our dogs are in the UK but Zain is still in the shelter in Spain where he has been assessed for health and behaviour and is due to travel to the UK in April. 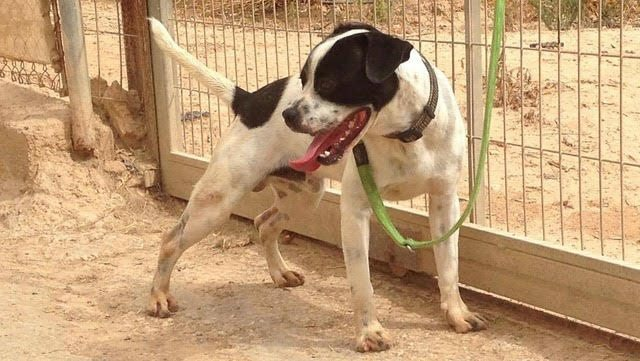 We are looking for an adopter before Zain arrives from Spain. 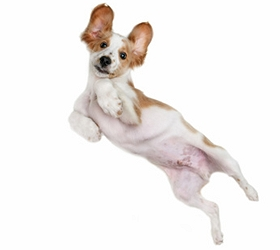 Videos of the happy little chap with other dogs and cats can be seen on request. Angel’s Kiss homes dogs throughout the UK and Zain could travel direct to your home. We handle all the paperwork and import procedures and we give full rescue back up.